DREAMCATCHING - GUIDED MEDITATIONS TO HELP YOU RECONNECT WITH YOUR DREAMS, REKINDLE YOUR CONFIDENCE AND REIGNITE YOUR PASSIONS. A collectable series of inspirational, meditative mind journeys, these voice-guided audio dreamscapes with music provide a combination of effortless entertainment and relaxation. Stories in which you are the leading character, these positive creative visualizations begin by guiding you to a blissfully relaxed state of mind before taking you to explore imagined places and identities - allowing you to return feeling revitalized, refreshed and inspired. There's a DreamCatching story for every mood! Studies suggest that this kind of guided daydreaming can boost your morale, improve creativity and reduce stress. Let DreamCatching help you harness the power of your imagination today! 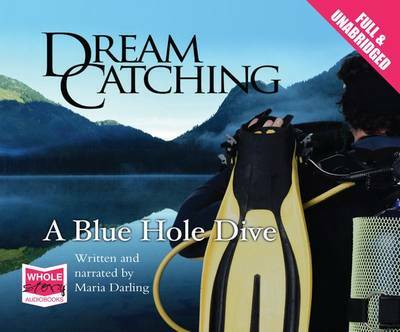 A Blue Hole Dive: Escape to the Caribbean and lead a successful mission to an ocean cavern of exquisite peace and beauty. A relaxing and inspiring dream of discovery and achievement, ideal for rekindling a sense of confidence and focus, and for re-establishing a sense of purpose and direction.